Families spent an average of just over $26,000 on tuition and college expenses in the 2017-2018 academic year. That's a lot of money. Almost half of them did it with savings and their earnings. About a quarter of these expenses were covered by scholarships and grants, and another 24 percent was funded by student loans. But what if your parents can't or won't help you? Whether you're just starting college or you're in the middle of attending, you can find a variety of ways to pay for your college expenses, from reaching out for grants to student loans to reducing the cost. 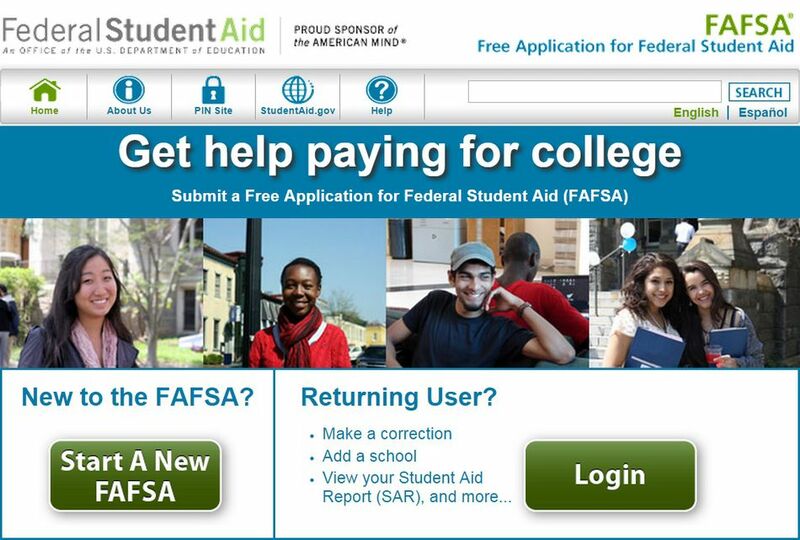 It all starts with the Free Application for Federal Student Aid (FAFSA). Submitting this form opens the door to numerous types of financial aid. You can't do much without it, at least in the area of applying for grants, some student loans, and aid provided by schools and your state. More than $2 billion dollars went unclaimed in 2017 because students and their families simply failed to complete and submit a FAFSA. The earlier you deal with this, the better, because many schools have first-come-first-serve programs. When the money is gone, it's gone. But there's one hitch here. You'll need your parents' cooperation. Assuming you're their dependent, the form calls for certain information about their income, taxes, and assets. No, they're not legally required to pay for your college education, and submitting the FAFSA with their information doesn't put them on the hook to do so, but the information will up your chances of receiving assistance. You can always submit a FAFSA without this information, but it will limit your opportunities for federal aid. There are a variety of scholarships available. Some are merit-based, so you must have good grades or fulfill service requirements to qualify. But others are based on your situation, your location, or the school you're attending. Grants are often needs-based—your income and savings are simply insufficient for you to manage this on your own, or some other special situation applies to you. The College Grants Database can help you get started and guide your search. It can be worth it to apply each year because available scholarships can depend on what year you're in. Grants or scholarships are often available for participating in things like student teaching, internships, or senior projects as well. You might wish you could pay for college without working, but a job should definitely be something you consider. There are several approaches to working and attending school at the same time. You can work in the summer and save all you earn to pay for your expenses during the school year. But if you can work full time and attend school part-time, you might qualify for tuition reimbursement through your job. Another option is to attend college full time and work part-time. The key to making this work is finding a great college job. At the very least, you might want to consider some side hustles to help you raise extra money. You'll have to plan on working at least during the summers if you don't qualify for a Pell Grant. Another option is to take out one or more student loans, but be careful about how much you borrow. Budget how much you'll need per semester and take on only that much debt. You'll have more financial freedom when you graduate from college and it comes time to begin paying these loans back if you don't start out with huge balances. The interest rates on private student loans tend to be higher than for federal student loans, so you might want to avoid them if possible. The government will also work with you on repayment options if you can stick to federal loans, such as the Stafford Loan. You might want to talk to a professor or financial aid officer who has access to more information about student loans if you're already in school. Consider choosing a college with lower tuition rates. In-state schools are generally cheaper than out-of-state or private schools. Some schools offer discounts based on how close you live to the campus. You might qualify for discounts if you're a "legacy" because one or both of your parents went to school there. Of course, school costs include more than just tuition, but you can save in other areas as well. Buy used rather than new textbooks. Check your college bookstore to find out what's available. A lot of students sell their used books back to these stores when they graduate. Some will even rent textbooks, and online booksellers often offer used copies as well. Don't overlook the possibility of attending an online school. Attendance is skyrocketing in the millennium as students discover the value of this option—almost six million of them were enrolled in 2018, both part- and full-time. Tuition is radically less, sometimes as much as 50 percent cheaper, and in most cases, classes are identical to those you'd undertake in a brick-and-mortar classroom. You can also study and "attend" when it fits your schedule, allowing you to more easily hold down a job as well. Carefully monitor your college spending and your living expenses so you don't need as much money. You might look into how much it would cost you to live off campus as opposed to on campus. Get a roommate and share off-campus housing, or live at home to save on costs. Avoid contractual obligations like gym memberships and cable bills. Look for affordable options that allow you to cancel at any time. And make sure you have your student ID tucked into your wallet at all times. Whip it out whenever you shop or visit a place that's going to cost you money...even that coffee shop down the street. Many commercial establishments offer discounts to students. A strict budget can make a huge difference in the amount that you need to borrow. The sooner you start tucking money aside in a savings account, the better. It's not too late to start when you begin applying to schools, but you'll have more saved for college if you thought to tuck away your earnings from those high school summer jobs and if you don't spend that money on other things. Choosing a bank account specifically for a college student can also help to lower your costs because fees are often waived. Or consider certificate of deposits (CD) that offer higher interest rates than run-of-the-mill savings accounts. CDs typically come with a penalty for cashing out early, but this might persuade you not to spend the money before you really need it for school.